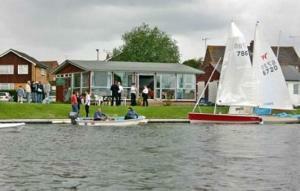 Dinghy racing and sailing for fun on the river Thames in Abingdon. Location = a short walk along the River Thames from St. Helen’s Church. 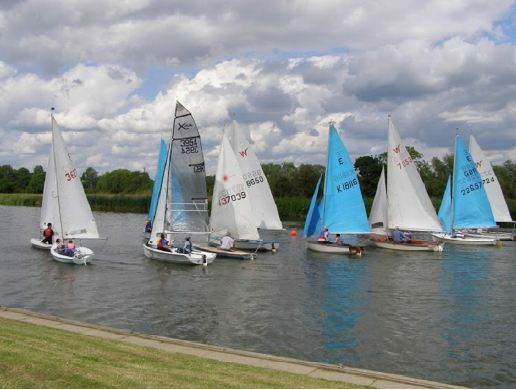 Members can sail for pleasure or practise at any time. Races held from 11.00 a.m.on Sundays from March to December, also Wednesday evenings in Summer from 6.30 p.m.(April - September). Clubhouse and Bar open Sunday lunchtimes and Wednesday evenings (in Season). Members’ social events / Cruising Section “Away Days” as advertised on Notice boards and in the Club’s Newsletter “The Hooter”. Wednesday evenings & Sunday mornings. Saturdays weather dependent. Any age group welcome – Children must be accompanied by a responsible adult at all times.